In my role as Chairman of the Public Building Commission (PBC), I would like to take stock of the many wonderful facilities developed over the years at the PBC and determine how we can continue to be more thoughtful and efficient with public dollars as we bring these projects on line. After all, the work performed here at the PBC is not just about bricks and mortar; it is about people. It is about the children who attend public schools built or renovated by the PBC, and about the patrons of the new branch libraries. It is about the police officers and local residents using the new district stations, about the fire fighters who stand ready in their new fire houses, and about everyone who enjoys the wonderful park amenities that are being built or restored here. We incorporate economic sustainability provisions in all of our contracts and environmentally sustainable design elements in every project that we build. By requiring community hiring, local business participation and M/WBE participation in our construction contracts, we encourage the viability and vitality of our local businesses and local workforce. By reducing the drain on our natural resources and lowering the operating costs for public buildings, we ensure that the years to come are better and healthier for the citizens of the City of Chicago and beyond. 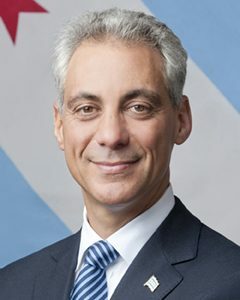 In fact, I made a commitment to double the amount of municipally-owned LEED-certified buildings in the City of Chicago during my term in office. A goal that was reached more than a year ahead of schedule. Each building and recreational area the PBC develops is used by thousands of Chicago and Cook County residents, which is why the Commissioners and staff of the PBC dedicate so much of their time and energy working with our clients to make them as safe, attractive and cost-effective as possible. Our commitment and enthusiasm is relentless because the projects we develop here at the PBC create opportunities for business and workforce development as well as bring on line facilities that offer opportunities for recreation, learning and public service.